I enter quite a few exhibitions with my images, and also my club enters some of my images on their behalf into other competitions. There are usually either one or three or more judges. With one judge the exhibition results are obviously more of a personal opinion of the judge, while with more judges the result is an aggregate of their opinions. Many exhibitions have self-selecting entrants, in that for the most part photographers do not enter unless they feel they at least have a chance of having some of their work accepted into the exhibition. So this year I felt that my work had sufficiently improved that I would enter the London Salon of Photography. Salon membership is by invitation only and currently has 42 members. The members of the salon who I know of produce some amazing inspirational work. Anybody can enter their annual exhibition and it is selected and judged by those salon members that turn up on the judging day, 4 images can be entered and a maximum of 2 will be exhibited from any one author. The stated aim of the salon is “‘..to exhibit only that class of photographic work in which there is distinct evidence of artistic feeling and execution”, so I entered what I felt were some of my most artistic images. There were just under 20 salon members who judged this year, so the exhibition selected is a mix of all of their opinions. Out of well over a 1000 prints entered around 10% are selected for the exhibition, and up to 10 Salon Medal are awarded. 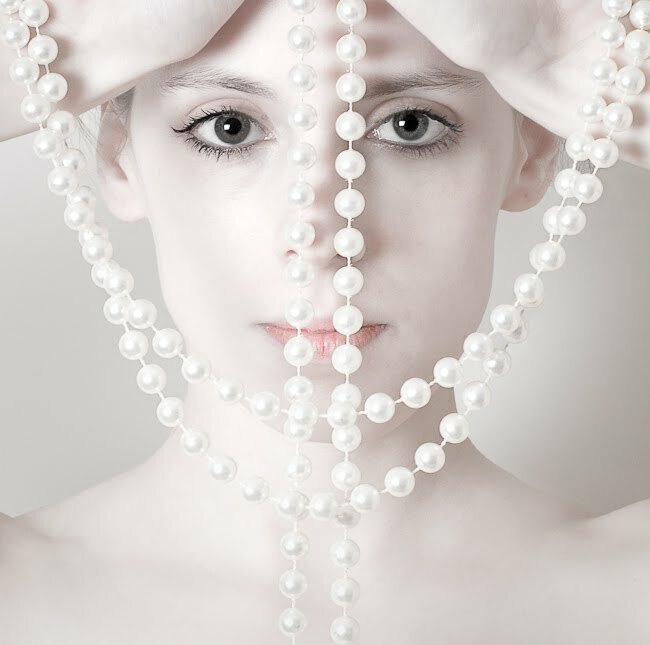 I was incredibly fortunate to have 2 of my images selected for the exhibition, including being awarded a Salon Medal for ‘Pearls’. The exhibition will be displayed at 86 St James Street from 30th July to 11th August, and then at The Old School House in Birmingham from 18th to the 27th August. All of my images with models are created and not just seen, I still remember clearly the points in time when both of these images were produced, and the conversations with the models about what we were trying to achieve with these images. I remember dangling over the edge of the baths to produce “The Bather” and moving my camera ever so slightly to get the pearls in the right place for “Pearls”. A huge thank you to Ella Rose and Nanette for creating these images with me. Congrats on the medal and acceptance! I’ve never entered London, but I know the regard in which it is held, so this is no mean achievement. You should be very proud. Congrats again.